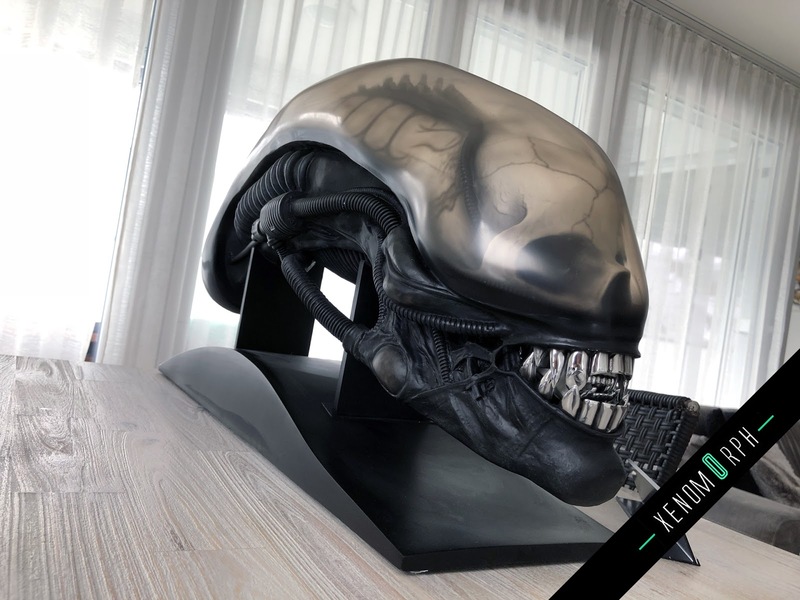 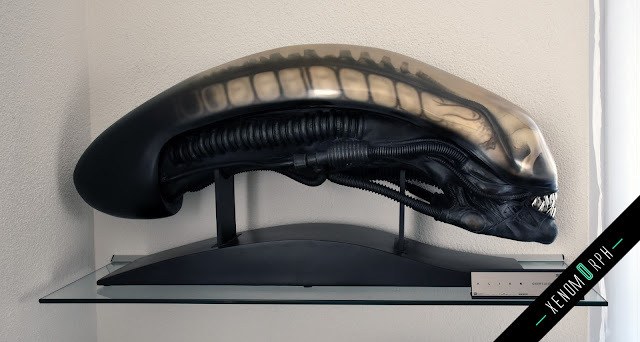 It took some time but it has finally relased: the Coolprops Alien 1 big chap life-size bust prop replica. 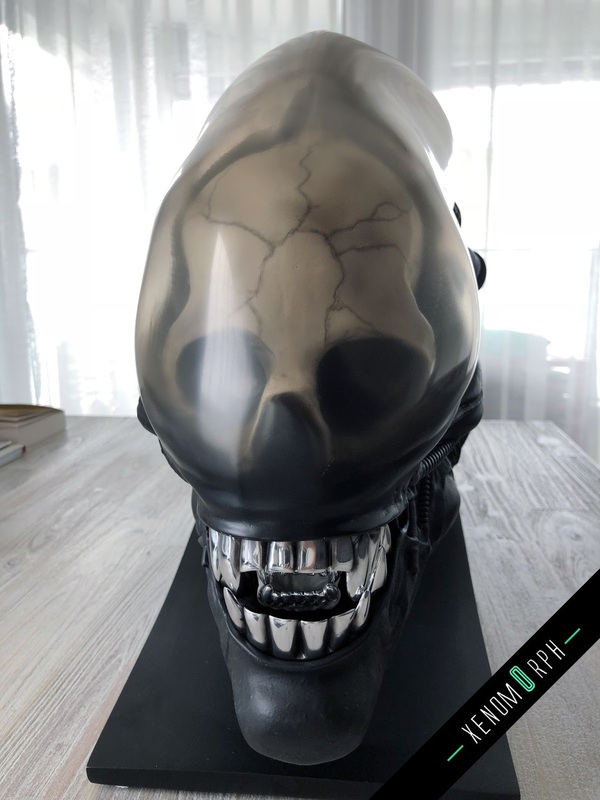 This is my first life-size bust and will definitely receive a special place in my colletion room - probably on a wall mount. 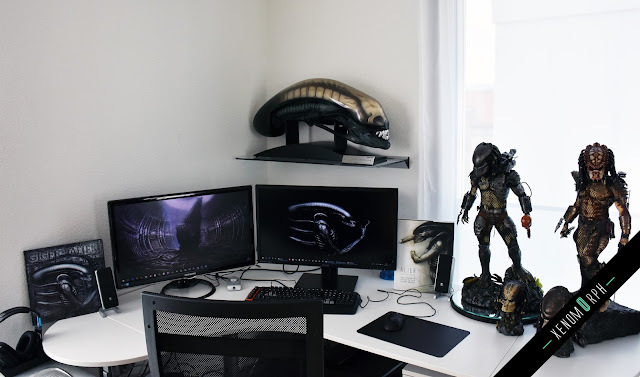 The first impression is stunning. 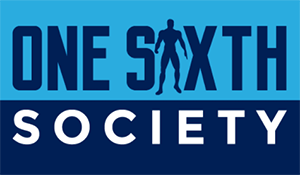 It's officially approved by the H.R. 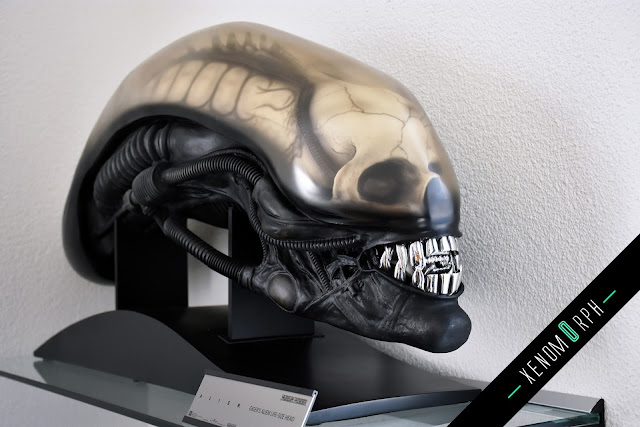 Giger Museum in Gruyère, Switzerland. 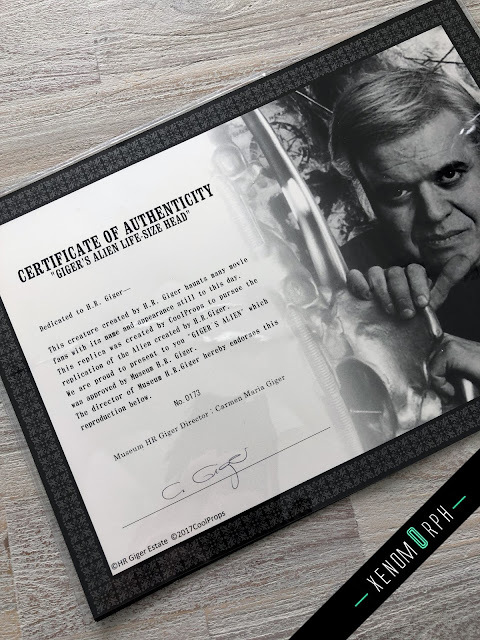 Along with the piece you'll get a certificate of authenticity which is signed by the museums director & former wife of H.R. 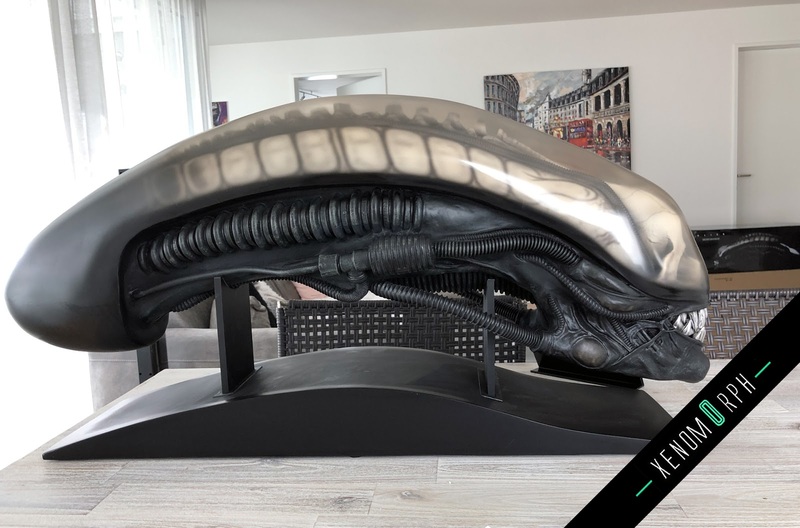 Giger: Carmen Giger Scheifele - a great addition and the best we can get as proud legacy of Hansruedi. Here some photos and I'll definitely put up a video review soon. 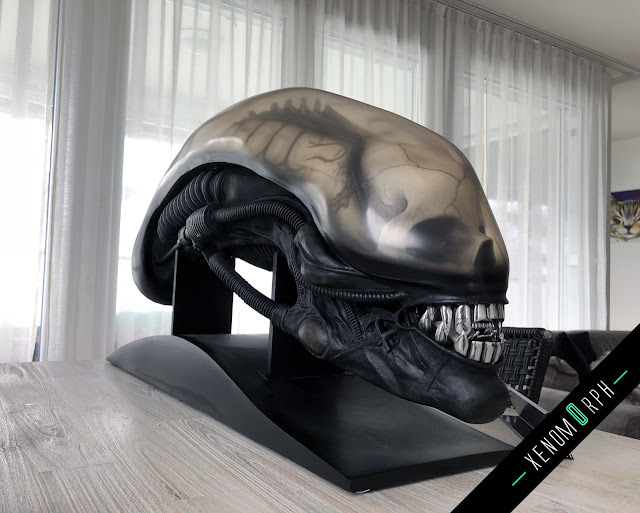 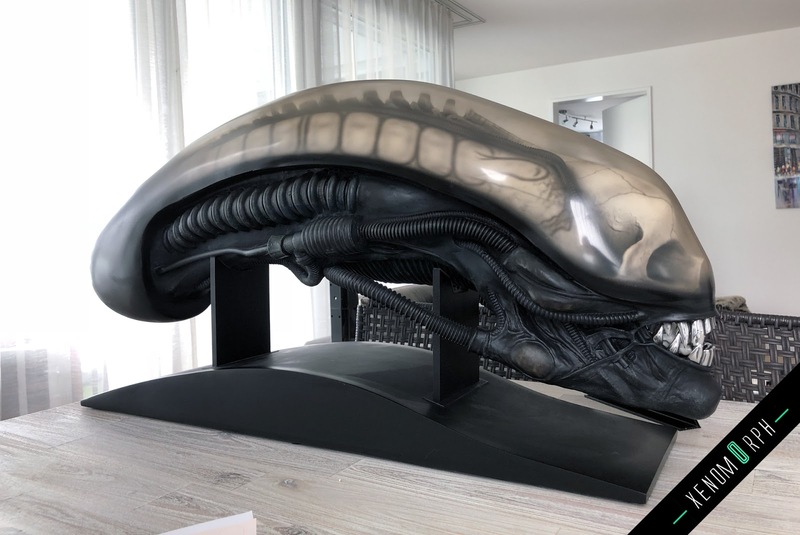 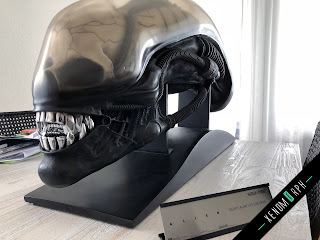 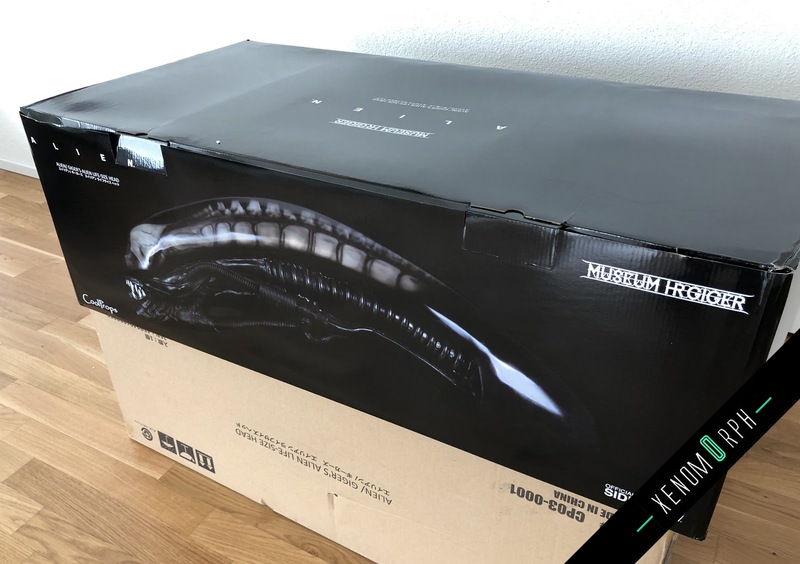 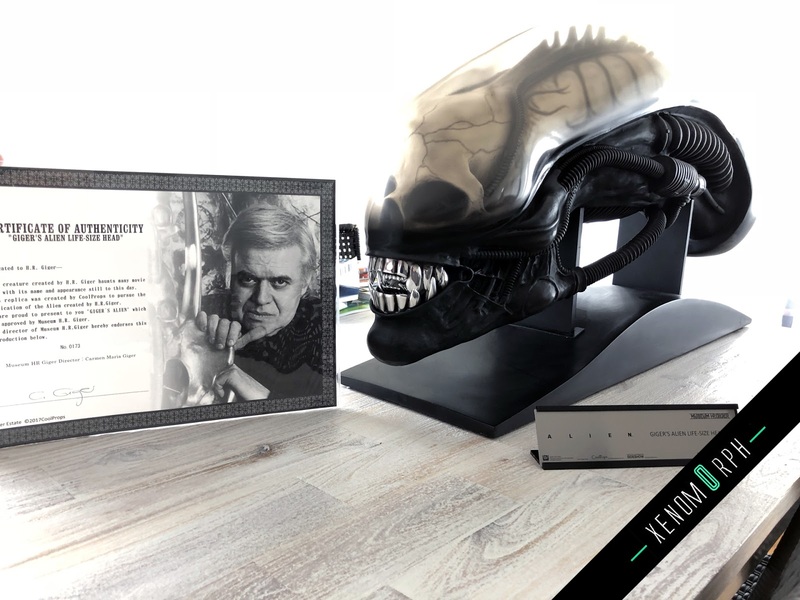 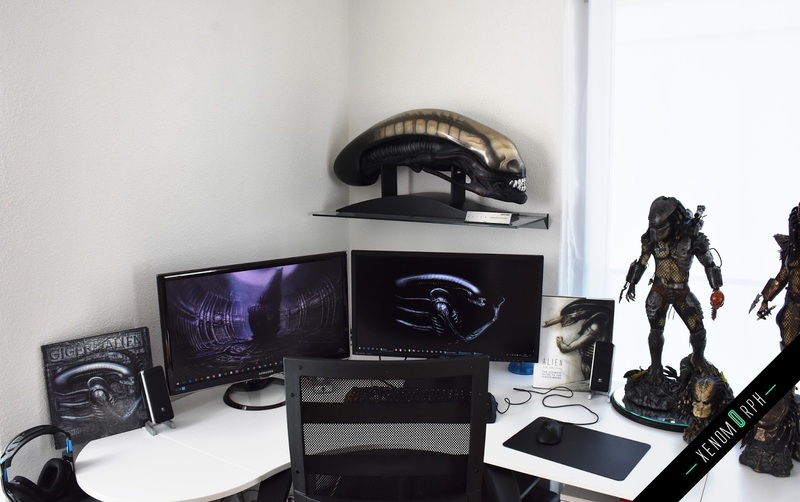 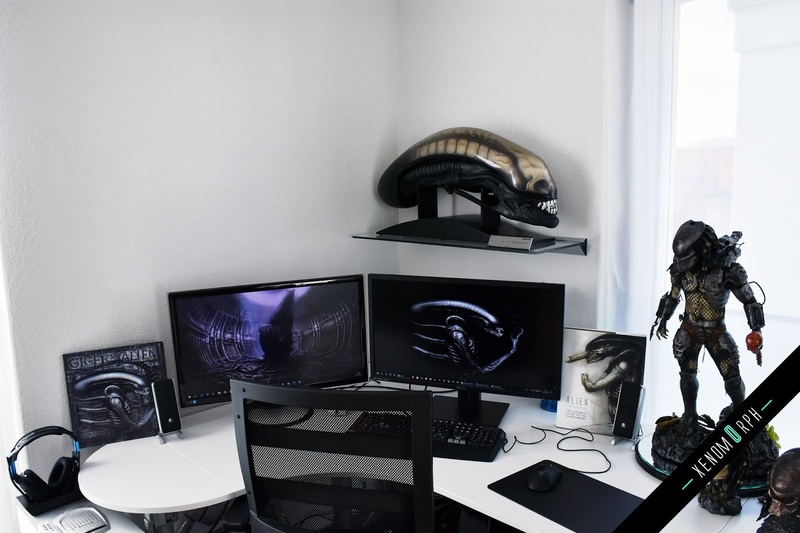 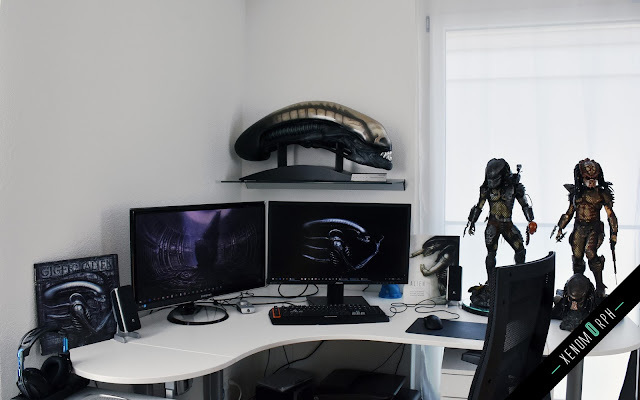 Update: I found time to wall mount the Giger bust with a glass shelf (4 screws, holds up to 25kg - the bust itself with the base is approx 14kg). 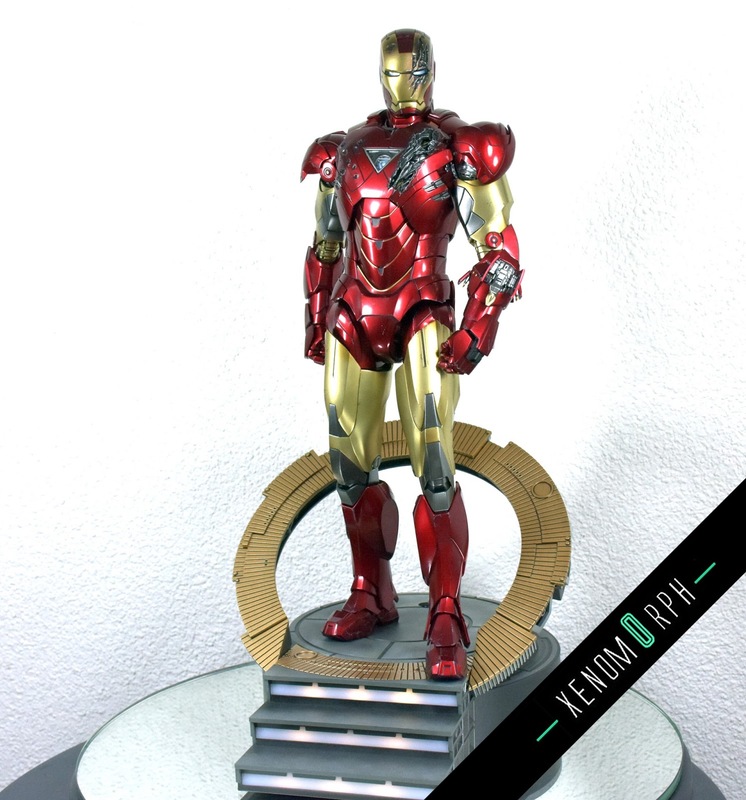 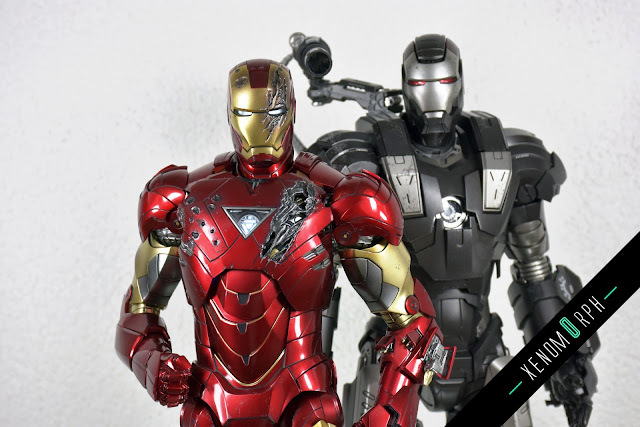 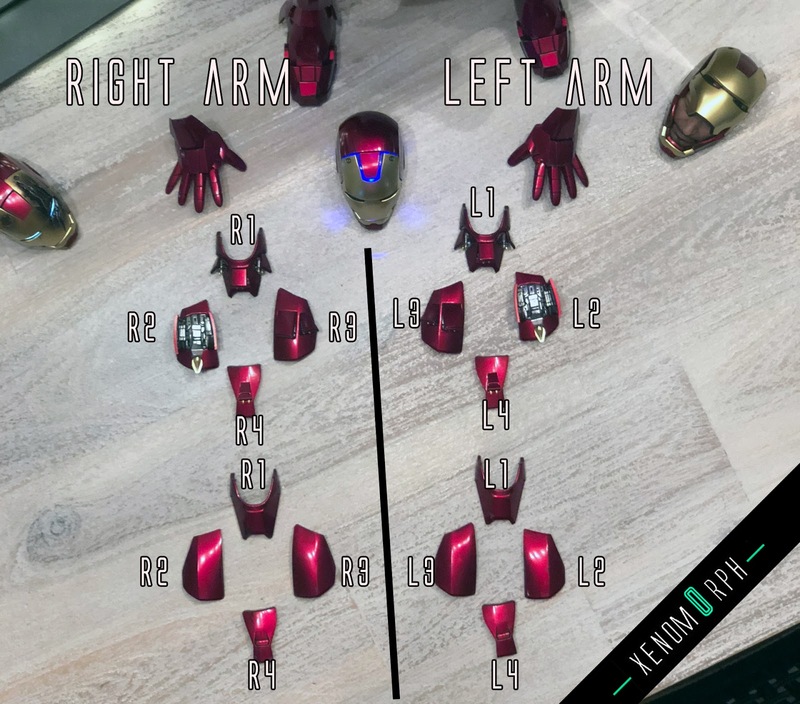 I missed out to put this review on by blog at the time i got the latest Hot Toys Iron Man release: It was the Mark VI re-release and what a beauty it is. 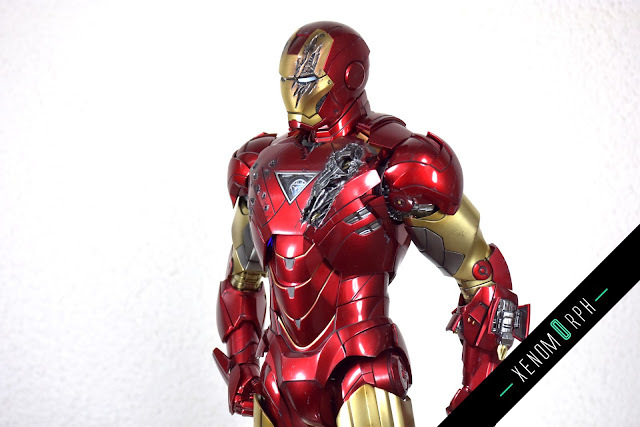 I was always a fan of this movie's suit with the triangular shaped arc reactor. 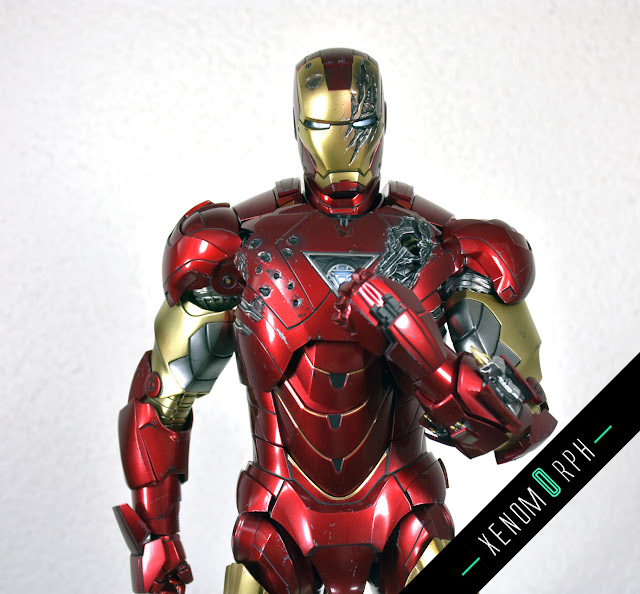 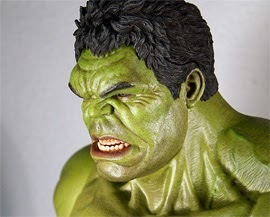 Hot Toys definitely put a lot of work into this re-release and it's far superios t han the first release, altough it's missing some parts like the battle damaged arm you get a lot of new pieces and a great base with light up stairs.